We love monsters—you love monsters—who doesn’t love monsters? Well...the Punisher doesn’t love monsters, Charlie, that’s who! Fearless Frank Castle, our favorite anti-hero, gets his chance to show his anti-love for monsters in next week's WAR OF THE REALMS: PUNISHER #1, and your ol’ pals here at Didja Know Central finally have our chance—or is it an excuse?—to delve deep into the dark and dingy dungeon of Frank’s soul…or maybe just the basement. It gets cold down there! Mystifying metaphors aside, let's get into it! 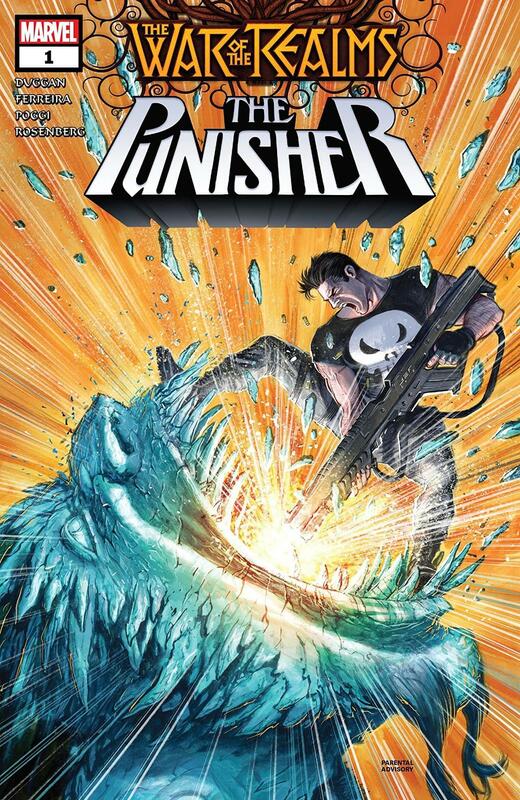 Didja Know… the character wasn’t originally going to be called the “Punisher”? 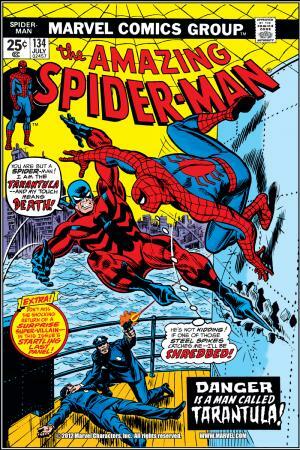 See, Conway dreamed up Frank as an ode to a paperback series of “men’s adventures” he admired and as a hitman for the jeering Jackal to hire in the now-immortalized AMAZING SPIDER-MAN #129. He even whipped up a cute costume design, made even snazzier by Jazzy John Romita, but before Castle could cultivate a cult fan-following, Stan “The Man” Lee had a few things on his mind about Gerry’s scintillating sobriquet for him. In short, our punishing publisher didn’t dig it. Y’see, Marvel’s all about giving you the kind of high-action characters you love, but different, y’know? That said, Stan thought “Assassin” was just a bit too different for a guy who wasn’t necessarily a bad dude—and so, with a nod to a robot Galactus once unleashed on the Fantastic Four back in the sizzlin' '60s, the Punisher made his first appearance, and the Marvel Universe was never the same again! Didja Know… the Punisher owes just about everything to Spider-Man? Hey, we hear ya, bunky! You’re telling us that Frank Castle and the winsome web-slinger have rarely seen eye-to-mask on anything, so how could such a debt even exist? Glad you asked! That’s why we’re here; to illuminate, educate, and illustrate! 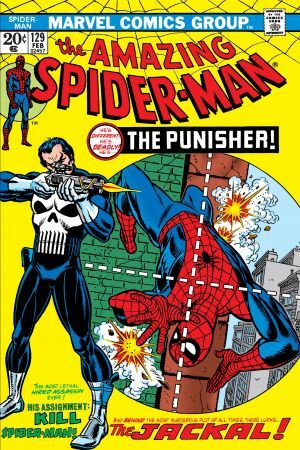 Anyway, the Punisher’s next appeared that same year in AMAZING SPIDER-MAN #134-135, and then he popped up almost immediately in GIANT-SIZE SPIDER-MAN #4. Frank followed that up with two solo gigs, in MARVEL PREVIEW #2 and MARVEL SUPER ACTION #1 respectively, but just when we all thought he’d gone solo, he landed once again in Spidey’s web in AMAZING SPIDER-MAN #161-162 and AMAZING SPIDER-MAN #174-175. No wonder those two crazy kooks love each other so much! Didja Know… Frank Castle once became a monster himself? Now, quit your caterwauling—we know what we said up there at the get-go, True Believers! The Punisher does hate monsters! But...once upon a time, not so long ago now, he woke up one dismal dawn as a monster. 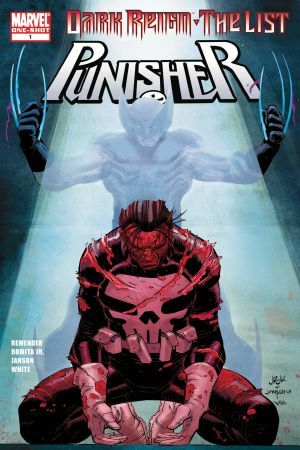 In DARK REIGN: THE LIST – PUNISHER #1 that ol’ stinky Norman Osborn was sittin' pretty as America’s “top cop” and decided to put together a list of people to pepper with potshots. He sent Wolverine’s dastardly son Daken to do the job, and guess what? He succeeded! Frank Castle lost his head—literally—and the Legion of Monsters jumped in to save him. Our powerful Punisher got up off the slab as “Franken-Castle,” a situation not exactly to his liking, as you might’ve figured. The Monsters had all the right intentions, but to make a long—but very cool—story short, after running around looking like a member of Frankenstein’s frightful family, Frank got better thanks to the bauble called the Bloodstone, and got right back to the jaunty job of punishing perpetrators. And all was right again in the Marvel Universe. Peruse these eye-poppin' publications with Marvel Unlimited right now! Then experience the latest chapter of Frank Castle's awesome anti-love in WAR OF THE REALMS: PUNISHER #1, on sale at your local comic shop next Wednesday, April 17!